After participating in the KAPOW program (Kids and the Power of Work) and teaching social skills to 8th grade students, Vivian knew her calling was in the arts and education. Her shared vision with her business partner, Mitsouko Pinon, came to light when both were presented with an opportunity to create a tailored after school program for schools throughout South Florida. With more than 10 years of experience in strategic planning and marketing, Vivian's background has helped other businesses flourish in their industries. As a mother of four, she recognizes the need for performing and cultural arts programs within the schools. She oversees each of the enrichment programs and continues to expand the platform for new and exciting opportunities! In addition, she also is a foreign languages (French and Spanish) instructor for TLBA. She holds a Bachelor's of Business Administration from the University of Miami with a concentration in Marketing and a double minor in French and Legal Studies. Mitsouko started her love affair with ballet at the tender age of three. As a young girl, she studied under the direction of Lupe Barroso and South Florida Ballet. During her time there, she also studied musical theater and acted in several local plays with Gratelli and La Danza studios. “La Viuda Alegre” and “Santa Camila de la Habana Vieja” as both dancer and actress. She also was awarded the distinguished honor of Dancer of the Year from ACCA for 4 consecutive years. She was briefly part of Miami Fire Girls and the Cuban Folklore performing at Noche de Carnaval for several years in Miami. During her time with BCC she performed in classical ballets such as Giselle, Swan Lake, La Bayadere, Carmen, Sleeping Beauty, The Nutcracker and many more including original works from members of the Company. She has shared the stage with Fernando Bujones, Alexander Godunov and the great Rudolf Nureyev. Mitsouko keeps busy indulging in her passion for dance as a Certified Vixen Workout Instructor as well. Sophia is a robotics and cheer instructor for TLBA. Having worked in various after school programs and summer camps, she has helped children develop an interest in the cultural and performing arts. She also brings a wealth of cheer experience as she was part of her school’s cheer and dance team. Currently, Sophia is studying at Florida International University pursuing a bachelors degree in Biological Sciences. Being so passionate about STEM has allowed her to pursue different opportunities and new experiences. She plans to use these opportunities to help her pursue a career in Obstetrics. Michelle joins our team as a cheer and theater instructor. She has more than 10 years experience with the arts. Her background includes musical theater, dance and cheerleading. As an undergrad, she was part of the FIU Cheer team where she obtained her a bachelor's degree in Criminal Justice and Psychology.. She is currently a law school student at St. Thomas University. In her spare time, she loves to dance, listen to Backstreet Boys and sing along to musicals. Ailyn began studying ballet, flamenco, and cuban dance at the age of 5. As a student, she dance for the prestigious Ballet Español of Cuba under the instruction of Alica Alonso. Later on, she danced for the Lizt Alfonso Dance Company where she was taught various dance styles including flamenco, contemporary african folklore eventually becoming their principal dancer. Ailyn received her Bachelor's of Science and her licensing in dance and arts from the Superior Institution of Arts in Cuba. She has taught and choreographed in Spain, various countries in Latin America and the U.S.
Lisbeth has been dancing all her life. In 2006, she graduated as a classically trained ballerina. She was formally part of the prestigious Cuban Camagüey Ballet for 3 years and then continued her professional career at the Endedans Contemporary Ballet Company in which she participated in both national and international performances. As part of the Cuban-Mexican affiliation, she worked in several dance companies with focus on classical and contemporary ballet throughout Mexico. She currently teaches in various studios in South Florida. Her passion is teaching and motivating all of her students to learn the art of dancing. Taufiq is a Computer Science undergraduate currently in his third-year attending Florida International University. He's driven by the idea that the limits of technology are endless; and with the right know-how, one person can connect the entire world. Taufiq's passion for technology sparked at a young age while he was playing Space Defenders on his computer. Since then, he's built numerous computers from scratch, learned four programming languages, designed several websites, and built programs for multiple companies in South Florida. He plans to specialize in software development and branch into mobile robotics/ Pascal development in the future. Rebecca is an alumni from design and architecture senior high school. She has always had a passion for design and art, she is continuing her education at Miami Dade College soon to be receiving her Bachelors in Education for Exceptional Students. 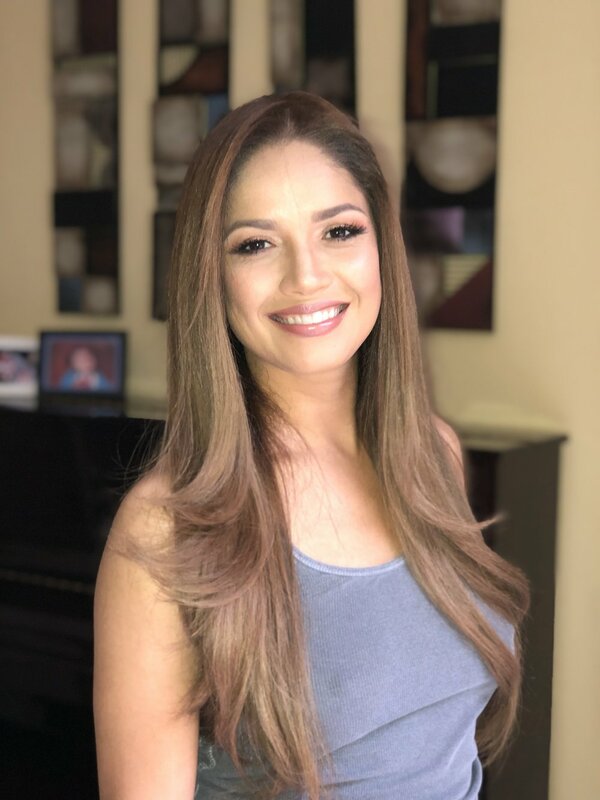 She has worked alongside Miami Dade public schooling at Kensington Park Elementary and Coral Gables High School, enjoying very much working with every student not only being their teacher but also being a mentor. Her motto is to 'Help all students find their individual motivation to succeed and lead us into a better tomorrow'. Kelly is our office and costume manager. She works behind the scenes with TLBA making sure everything is ready for our end of year performances. With background experience in office management, she is a great addition to the team! Cecile is a retired educator from Miami-Dade County Public Schools. She has a degree in Exceptional Education from Miami Dade College and is dually certified in Elementary and Special Education. She holds endorsements in ESOL and in Reading Education. Mrs. Pelaez began her love of the Arts as a small child beginning her dance training at L'ecole de Ballet under the directions go Vivian Digon de Greer. She continued training under several other masters including Lupe Barroso and Armando Navarro, where she danced for Pro-Arte Grateli in Zarzuelas such as, “Maria La O” and “La Viuda Alegre.” In addition, Mrs.Pelaez acted in local community theater under the direction of Nestor Cabell in several of his productions. Born and raised in Miami, FL, Stephanie began her dance training at the age of 3. She has trained with notorious instructors from all over the United States in the styles of ballet, jazz, modern, contemporary, lyrical, and hip-hop. Stephanie received numerous awards and scholarships from competitions and conventions all throughout Florida in her time as a dancer. She also became part of the National Dance Honor Society in 2014. At the age of 16, Stephanie began her journey as a choreographer and instructor. Her choreography has won accolades at regional and national levels. Stephanie is now working to achieve her B.A. in Dance from Nova Southeastern University. She looks forward to sharing her passion for dance with her students. Anielka has studied ballet and dance since she was a little girl. It has always been her passion. She is a graduate from the prestigious Academia de las Artes Vicentina de la Torre. Her specialties include classical ballet instruction, creative movement, choreography and character & ballroom dancing. Apart from teaching ballet and yoga for TLBA she is also an instructor for several studios in Miami. She enjoys teaching children and exposing them to different forms of art. Born and raised in Tarapoto, Peru, Kathy brings a wealth of knowledge to the team. She has been teaching Spanish, Robotics and Sewing to children for several years. Her passion is inspiring young students to create, innovate and embrace the cultural arts. With over 15 years of designing and creating beautiful garments, she is also TLBA’s costume designer. She completed her training in sewing and design under the direction of the Ofelia Velasquez School in Peru. Her company, Katelina’s Boutique, offers an wide of array of bows, dresses and more. Visit her on Etsy and Instagram. Ethan has been playing piano since the age of 4. He was trained in classical piano for 6 years, as well as jazz, contemporary music, and music theory for 5 years. He is part of three different musical ensembles, and he regularly plays gigs and tours with them. His unique exposure to classical music, jazz and contemporary music, and frequent live performance allows him to teach using real world experience and cover a wide variety of musical concepts. Ethan is currently a junior at Christopher Columbus High School. This part summer he toured all over Tennessee, Georgia, North and South Carolina with his band P.E.A.R. Jahaira also known as Coach JV, coaches cheer for TLBA. Cheer has been part of her life since she was a little girl. She was on her high school’s cheer team and went on to join her college cheer team. Jahaira has over 12 years experience as a cheerleading coach, choreographer and tumbling instructor. 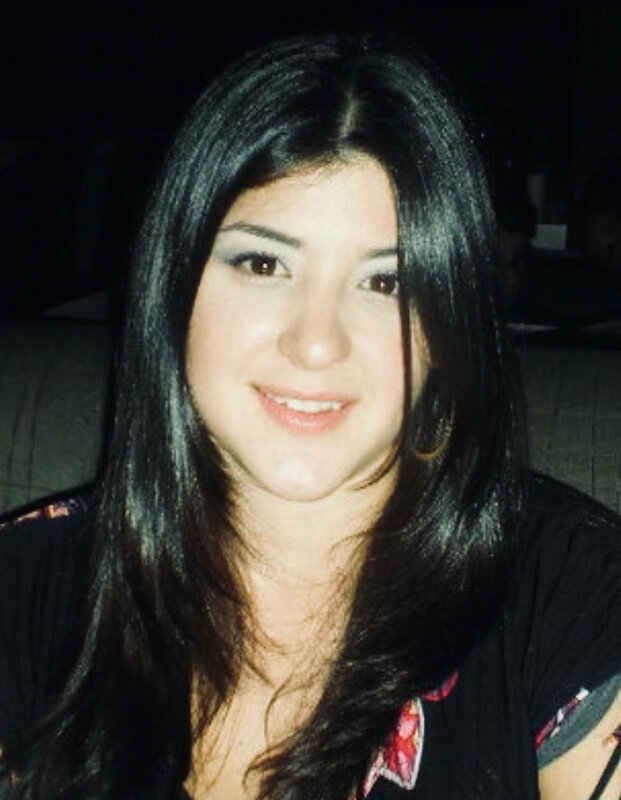 She currently is the program director at CenterStage Cheer & Dance company in Doral. She holds a sports medicine degree from the University of Miami and is a high school forensics science teacher. Her personal favorite quote is “Hard work triumphs over natural talents when natural talent refuses to work hard”.